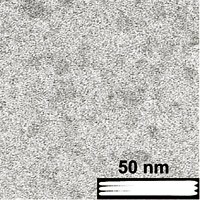 Inorganic–organic membranes are characterised by the presence of a certain amount of inorganic solid within an organic polymer that serves as the matrix component. From its origins some 15 years ago as a means of conferring proton conduction properties to an insulating polymer matrix by addition of a powdered inorganic proton conductor, the methods of preparation have developed and currently include a range of approaches that allow control over the localisation of the inorganic component preferentially in the hydrophilic or hydrophobic regions of an ionomer, and incite development of morphologies ranging from nanoparticulate to extended network forms. The presence of an inorganic phase is effective in enhancing interaction between components, in limiting dimensional change and in improving fuel cell performance under high temperature, low relative humidity conditions. 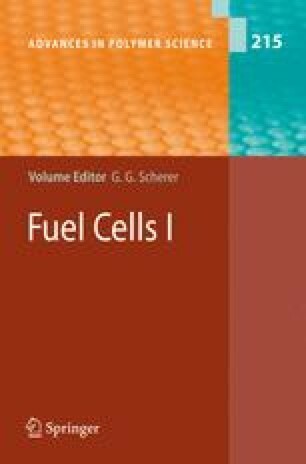 These approaches have enabled the field to develop from the stage of different concepts of inorganic–organic fuel cell membranes to their implementation in fuel cell stacks. Novel approaches make use of further degrees of organisation of the organic and inorganic components, for example by use of nanoporogens or bimodal/spinodal transformations.